In recent years, my partner, Dr. Giovanni Castellucci, and I have seen a resurgence of the use of the “hybrid” prosthesis with the “All-On-4” Immediate Dental Implant (Teeth in a Day) protocol. Now, we successfully restore fully edentulous arches on four implant fixtures on the same day that the hopeless teeth are removed, oftentimes without the need for bone grafts. Our patients are thrilled with the results, and the functional and esthetic benefits are instant. The cost of the All-On-4 procedure varies based upon the type of final restoration that is made. 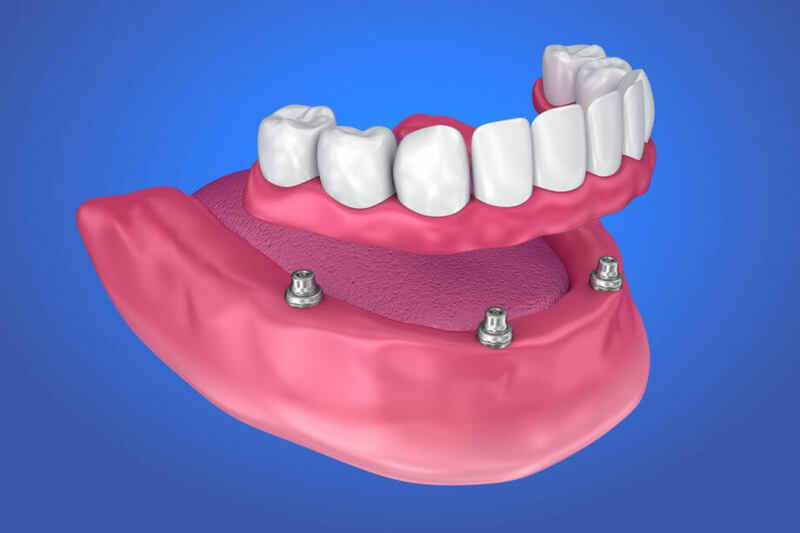 The traditional and least expensive prosthesis is typically made with acrylic teeth, similar to that of a regular denture, that are “permanently” fixed to the underlying dental implants. Fees for this prosthesis range from $25,000 to $30,000. The fee may vary for a variety of reasons including management of severe disease, infection, and number of extractions. Many patients choose to have the final teeth made out of ceramic zirconia such as Procera which provides superior esthetics, strength and durability. Due to increased dental laboratory costs, these more sophisticated restorations can cost between $35,000 and $40,000. It is critical for patients to seek the care of experienced and expert surgeons and restorative dentists. After all, this is a big investment for most people. Patients need and deserve to have it done right the first time. There are no substitutes for experience and expertise! In our practice, with offices in Newton and Framingham, MA, we take great pleasure in knowing that we have consistently improved the quality of life for thousands of our patients by restoring ideal dental health and function, and creating beautiful smiles for the past three decades.